Risk Profile: Repair Garages - Business Insurance Associates Inc.
As with many businesses, liability exposures with virtually no cap on the exposure are preeminent concerns, along with employee safety and welfare, and protection of physical assets including customer vehicles in your care, custody, and control. When managing risk for an auto repair garage, there are also unique challenges like the presence of hazardous fluids/pollutants and the very nature of the mechanical work which often involves laborsome tasks done with tools in confined spaces, all of which can result in worker injury or sickness. Bring in the auto exposure of both employees test driving vehicles, and clients driving their vehicles immediately after having them worked on, and the risks for auto repair shops are diverse and evident. Good housekeeping is paramount to preventing injuries, both to your own workers and your clients. Regular janitorial work should be performed and the expectations of a clean shop communicated to all employees. Tools and equipment should be properly stored and organized when not in use, and all hazardous materials and liquids appropriately stored and disposed of. Employees should be given appropriate training and orientation on this at the time they are hired, and it should be part of a regular weekly safety meetings. We firmly believe in the concept that everyone who works at an auto repair garage is a risk manager, from the mechanic to the desk personnel, and the owner to the apprentice, it’s everyone’s job to manage risk and that only happens when it’s a priority from the leadership of the organization. Customers should be prohibited from being in the work area, a small receptionist area should be provided for them to comfortably wait. Make sure rugs and electrical cords don’t create any trip hazards, and in the winter make sure wet floors are mopped and snow and ice removed from the parking lot and entrance. Finally, the safety and security of your premise is important, both while you are open for business, and while you are closed. Alarms, security systems and lighting can all be valuable tools to deter criminal activity. We have a saying at Business Insurance Associates that “informality in the business world leads to lawsuits.” What this means is very simply that forgoing the appropriate policies and procedures required to run a successful business because you don’t believe they are necessary, don’t have time, or some combination of reasons, can be a big mistake. Having an employee handbook that communicates the company policies and procedures and the expectations of the ownership shouldn’t be viewed as optional, if you aren’t managing the risks of having staff you have the same exposures a fortunate 500 company has, without the resources to support you in many cases. Employment practice lawsuits from employees or in many cases former employees, for things like discrimination, harassment, retaliation, improper termination and wage and hour issues are not uncommon, and will likely require a combination of risk mitigation and risk transfer through insurance. Remember as a business owner you aren’t just paying an employee for a compensation package, which is a very tangible cost between salary and benefits, you are also assuming the exposures they are creating and if you aren’t being compensated for assuming that risk, it might be worth reviewing those arrangements to figure out why. Don’t grow your business just for the sake of growing your business, it has to be a profitable move that is consistent with the goals and objectives of your organization, and never sacrifice standards just for the sake of growing. Standard garagekeeper insurance policies do not provide appropriate coverage for pollution exposures, in many cases that exposure is excluded or mostly excluded with few exceptions, and may require you to purchase pollution coverage. Regardless of whether you do transfer some of this exposure by purchasing a pollution policy or you don’t, this risk should be aggressively managed by your organization. If you have an auto garage and don’t currently carry the pollution coverage, contact Business Insurance Associates (907-274-4142) and find out how affordable it can be. Garage owners should maintain an employee file that contains (1) a current copy of the employee’s driving record, (2) a copy of the employees drivers license, (3) a signed copy of a safety and/or safe driving notice, and (4) any other driving orientations or safety training they’ve attended. Doing this simply step can go along way to weed out problematic drivers and mitigate the chance that you could end up with a lawsuit against you. For the complete version of our Best Practices to Auto Loss Control contact our office, it’s a great resource and addresses many different exposures. 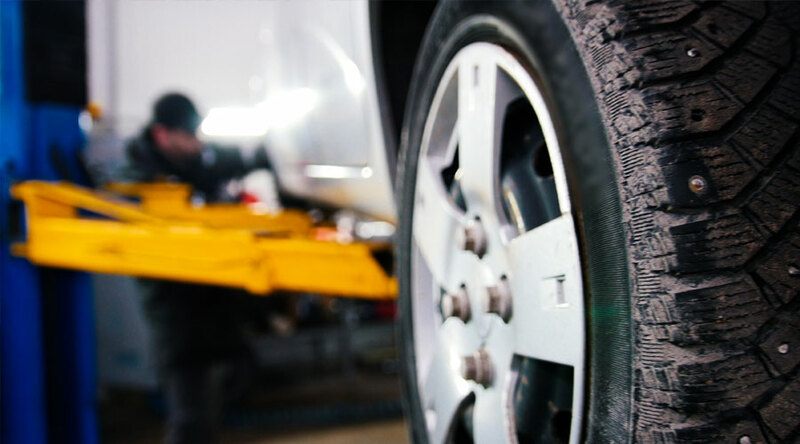 If you own or manage an auto repair facility, it’s important to have a risk management professional to partner with who understands the exposures and risks, and can design a commercial insurance program that strikes a balance between budget and coverage. For twenty-four years we’ve been doing just that, solving tomorrows challenges today.